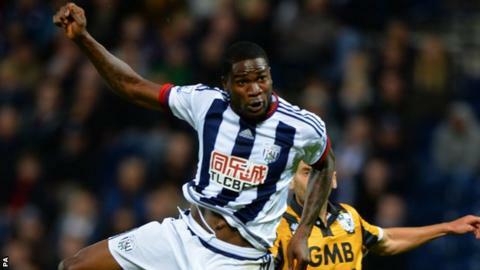 West Brom forward Brown Ideye has joined Greek champions Olympiakos. The Baggies broke their club record to sign the 26-year-old Nigerian from Dynamo Kiev 12 months ago for a fee of around £10m. The striker made 31 appearances in all competitions, scoring seven goals, but his only match this season came against Port Vale in the Capital One Cup. Meanwhile, West Brom have signed Manchester United goalkeeper Anders Lindegaard on a two-year deal. Ideye will join former Leicester midfielder Esteban Cambiasso in Athens after the 34-year-old joined Olympiakos earlier this month.